The B-DAY BerryGram is a delicious gift that will certainly make their birthday over the top. 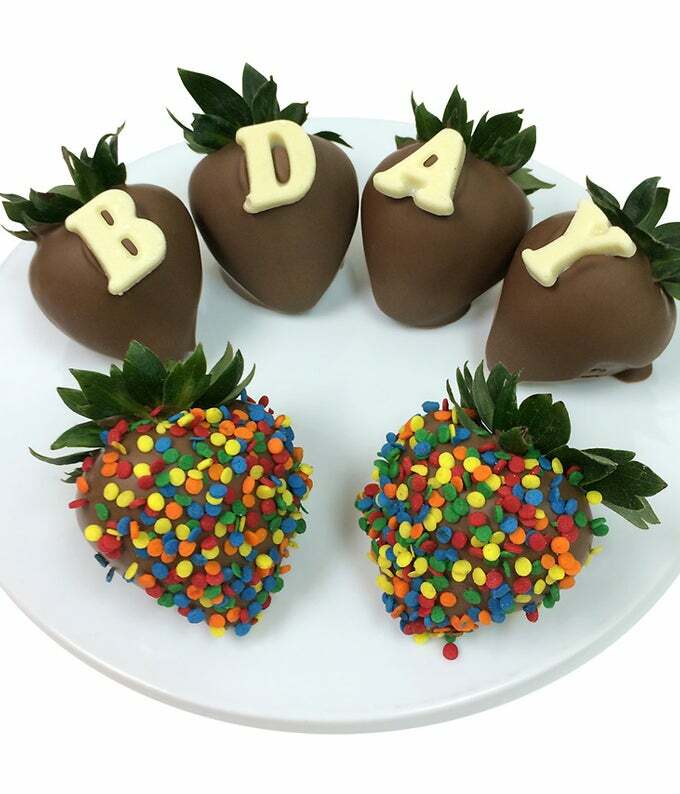 6 fresh strawberries are hand dipped in Belgian Chocolate and decorated with the word "B-DAY". They will not soon forget this delicious and unique gift.